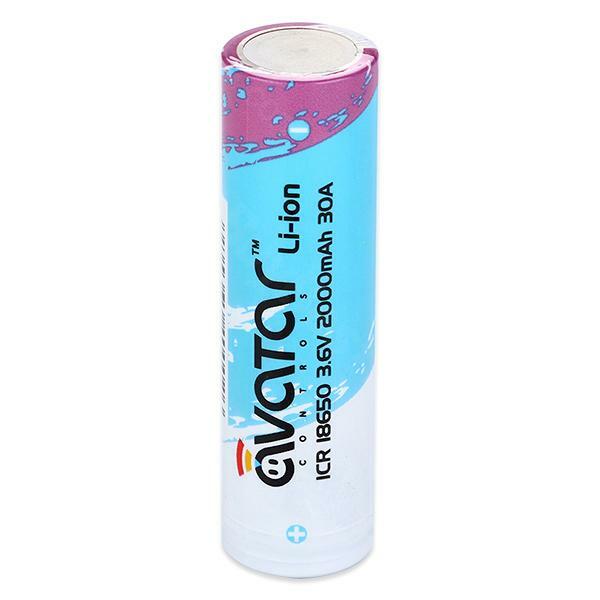 Avatar ICR 18650 battery with 2000mAh capacity, a high performance rechargeable lithium battery, made for high discharge current (max 30A) applications, enough to run various high drain devices. Get it as spare parts for your high-wattage MODs. Application: Electronic Cigarette, LED flashlight, medical machinery, wireless communication, camera, notebook and other digital products, many electronic products etc. Avatar ICR 18650 High-drain Battery is a 2000mAh capacity Joyetech Avatar ICR18650 Battery for Box Mod EVIC VTWO Battery Mod.